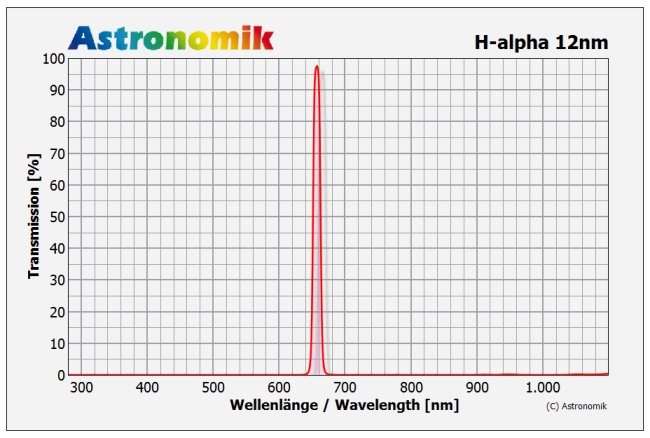 The Astronomik H-alpha 12nm CCD XT EOS Clip filter is suitable for imaging of Hydrogen nebulas from observation sites with light pollution and from dark sites as well. The contrast between an object glowing at 656nm and the background is increased enormous! The EOS Clip model plugs directly into the Canon EOS camera body (compatible with all Canon EOS camera with APS-C sensor) so it is very practical to use.